What’s the main functionality of a WordPress cache plugin? Being compatible with Content Delivery Networks in order to serve assets (images and other files) from other servers (that are often closer to the location of the person loading the website, thus taking less time to download). These are only a few of the features that are included in a caching plugin. As much as a like working with WordPress, being a developer myself, we all know how notoriously slow it can be sometimes if not optimised properly. Thus, all these caching plugins were developed. Is it worth paying for a cache plugin when there are other ones out there free of charge? In the beginning, I thought that this looks like a waste of money and wondered why would someone pay for a cache plugin when there are lots of other ones that can be found for free out there and are very powerful. However, I was thinking with the mind of the developer that likes to download plugins, have the time to play with them, tweak what needs to be tweaked and then happily use them without thinking of the premium options out there. The plugin went through lots of updates in the past year and came with features that you won’t find in other cache plugins including lazy loading, enable/disable caching on specific posts, combine google font requests into one. Besides, the interface is very simple and intuitive to use for the regular user which makes it easier to configure and it’s less likely that you will mess up something on your website. I’ve been using W3 Total Cache on my websites. It’s a good plugin, I would recommend it, but it takes you a while to understand it, especially if you’re not a developer. Plus, you don’t have anyone on one support in case something goes wrong. You need to fix things yourself and since many people pay for convenience, an investment of $39 doesn’t seem much to save yourself time and other headaches. Is WP Rocket’s default caching options the best for basic websites? What would be one reason for investing into this plugin? Having customer support when you need it. If you’re not a developer, it will help you save time and other headaches that other plugins could give you if they are not configured properly. 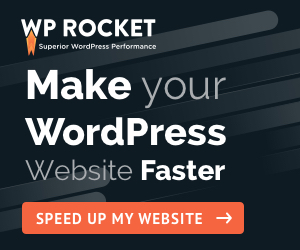 I’ve regularly received emails and updates about WP Rocket in the past months. If you’re a developer and care about the back-end side of things, I’ve also checked the quality of code. What I DO NOT Like: the lack of OOP code (you barely see any). Most of the code is procedural and I believe WordPress developers should focus more on the objected oriented side of things as it would make things easier for future development. Also, some of the functions have fairly common names (e.g. “rocket_init”), which could conflict with other functions name the same in either the theme or in other plugins. It’s not that likely, but you never know. It happened to me in the past to believe that I used a unique name, and to found out that it was used in other plugins as well.